The first one is built with traditional cement material (80 m2) living, dining, Kitchen, 2 bedrooms with ample closet space, bathroom, and laundry. The other house is crafted from fine cedar wood. High ceilings cover 800 square feet (75m2) which are divided into a living/ dining/ kitchen area, equipped with a grill/ fireplace, a spacious bedroom with ample closet space, and a modern bathroom. It is ideally designed for two people, and comes with build in fridge/ freezer/ dishwasher. 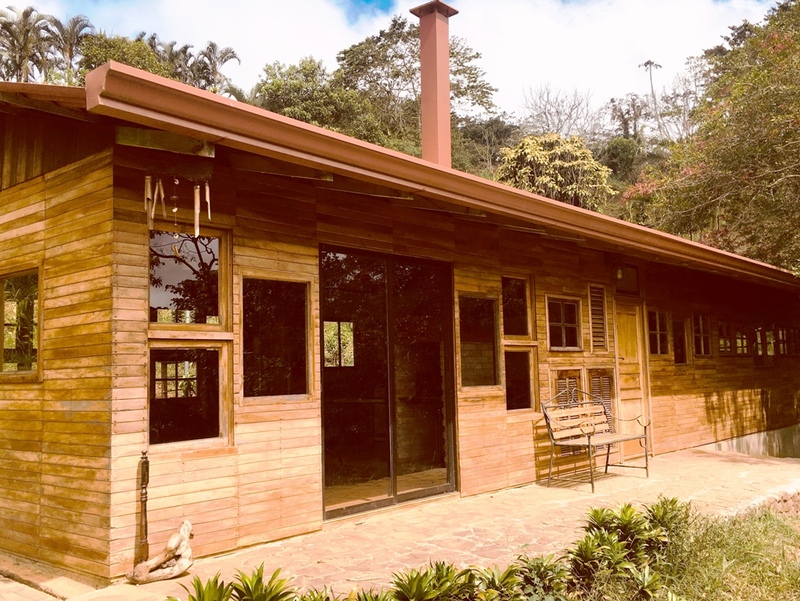 The property has plenty of building possibilities, new electricity and water installations, and is covered by cellular phone & internet antennas and various satellite TV providers.